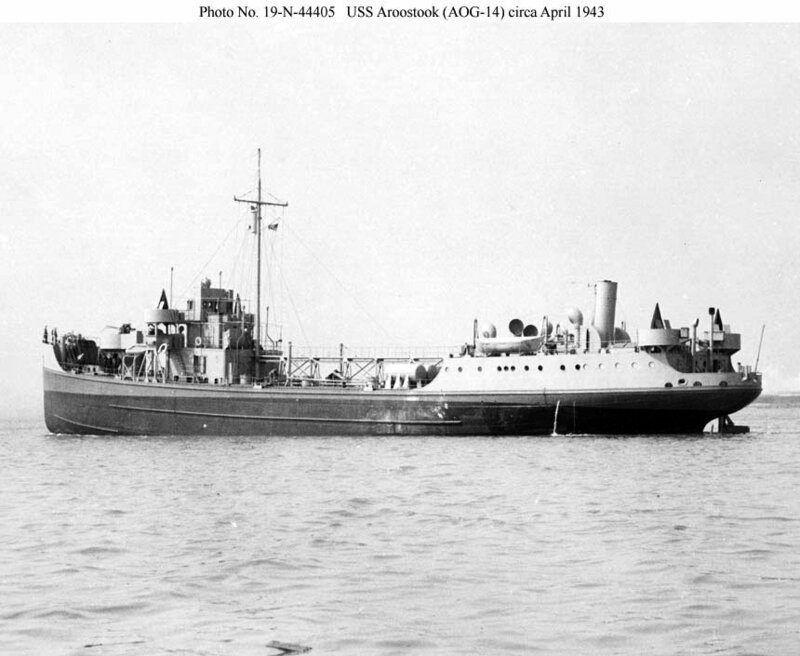 Laid down, date unknown, as the tank barge MV Esso Delivery No.11, at Newport News Shipbuilding and Dry Dock, Co., Newport News, VA. Converted for Naval service at the Key Highway plant of Bethlehem Steel Corp., Baltimore, MD. 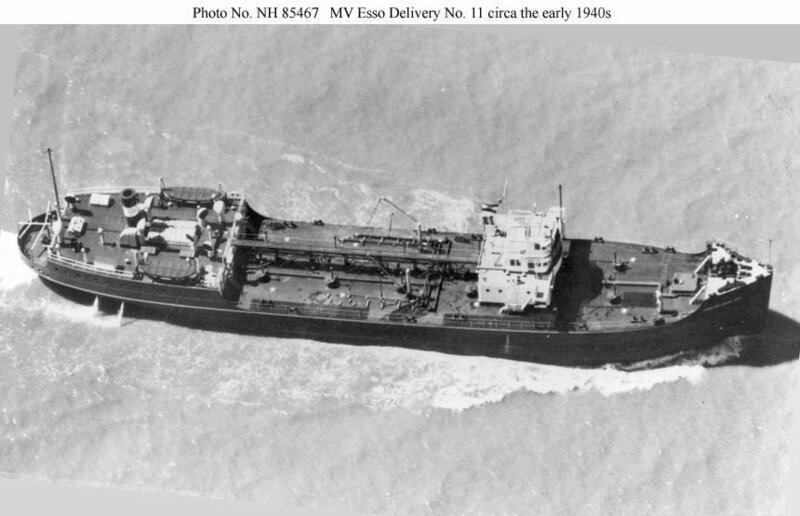 78k Overhead view of MV Esso Delivery No. 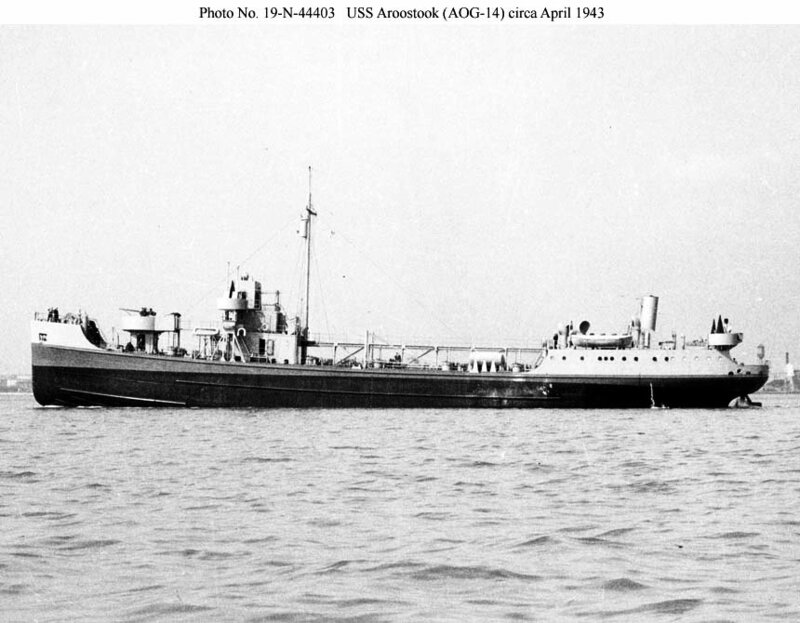 11 underway circa the late 1930s or early 1940s. 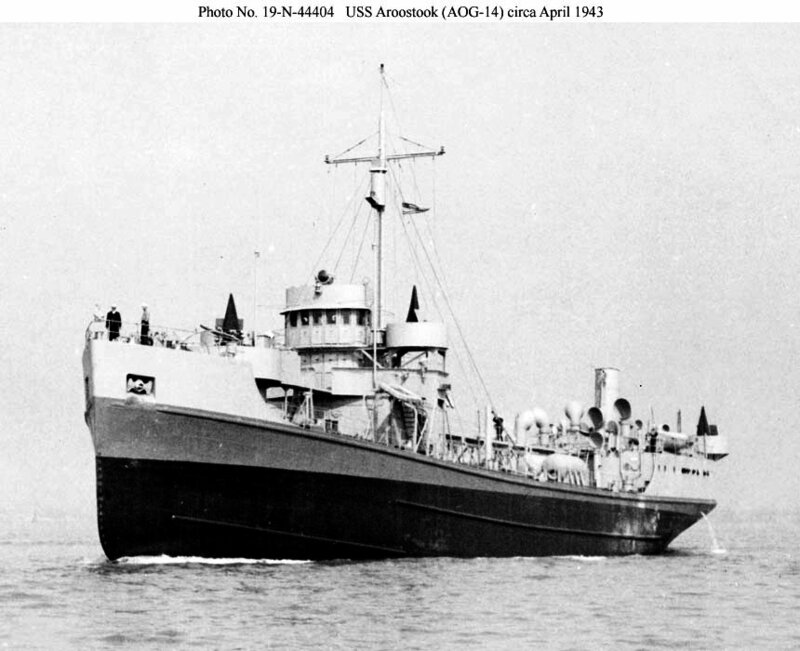 19-N-44403 94k USS Aroostook (AOG-14) underway in either the Chesapeake Bay or Hampton Roads in late April 1943 just after conversion and just before departing for the Mediterranean.